Last year's decision to remove the gray wolf from Oregon's endangered species list was upheld in state law Tuesday with Gov. Kate Brown's signature -- likely blocking an environmentalist lawsuit from moving forward. In November, the Oregon Fish and Wildlife Commission decided gray wolf numbers had climbed enough to justify delisting under its management plan, which is undergoing revision starting Friday. Environmentalists, arguing the commission's scientific evidence was flawed, filed a lawsuit in December seeking to challenge the merits of that delisting decision through judicial review. After the start of this year's legislative session, House Republicans introduced a bill that would ratify the delisting into state law. House Republicans publicly denied in committee and floor meetings that the bill, HB 4040, was an attempt to thwart the lawsuit, as environmentalists were claiming. But when it advanced to the Senate, a committee determined that was, in fact, the intent. That worried environmentalists and many Democrats, including U.S. Rep. Peter DeFazio, about the precedent the bill could set for the Legislature stepping into legal and scientific processes. The fate of the bill remained unclear until the final hours of the legislative session, when it became among a handful of bills that were used as political bargaining between Republicans and Democrats. 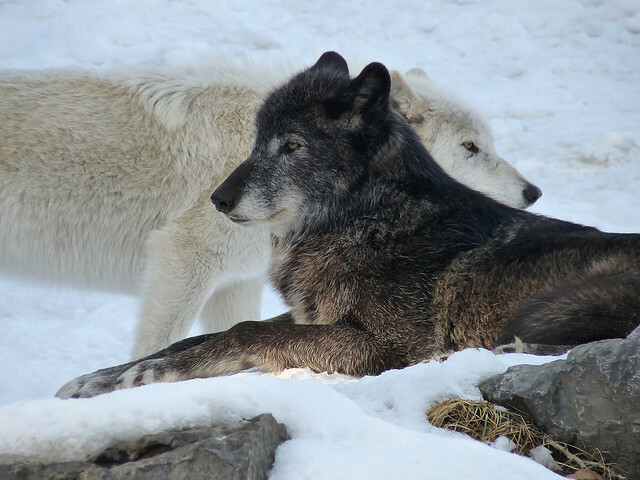 Neither the delisting decision nor the new law automatically removes safeguards for wolves, but rather helps state wildlife officials advance their wolf management plan and eventually consider killing, among other things. "(HB 4040) allows us to go forward with wolf management on the ground and hopefully not get bogged down in litigation," John O'Keeffe, president of the Oregon Cattlemen's Association, said Tuesday in a statement. The association helped draft the bill. Brown said wolves are an example of the deep urban-rural divide in Oregon that has long shaped policy decisions at the Legislature. "Wolves tap into deep emotions and values, often rooted in how we as humans live on the land and exist with nature," she said in a statement. "Minimizing divisions between well-meaning Oregonians and providing the social space for wolves demands compromise and collaboration. While HB 4040 does not resolve this challenge, I believe the bi-partisan legislative support that brought the bill to my desk realized the importance of it." Environmental groups that filed the lawsuit castigated lawmakers. "House Bill 4040 not only rubber stamps bad science, it strips Oregon citizens of their right to a judicial review of a likely illegal decision to strip state protection from Oregon's wolves," Amaroq Weiss, West Coast wolf organizer for the Arizona-based Center for Biological Diversity, said in a statement Tuesday. "Legislators and governors make bad scientists. And shielding bad decisions from judicial review is bad governance," Weiss said. Responses to "Gray Wolf Officially Off The Endangered Species List"
Does anyone know if Obama signed off on this ? i thought Oregon was to be a leader in how to protect the wolf - now they have joined the ranks of idaho and wyoming for unjustified killings and kissing the asses of ranchers - more scum money than ethics again.